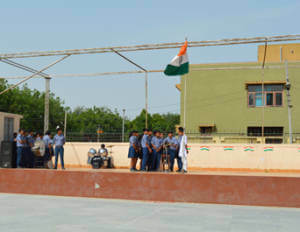 A special assembly was organized on the 70th independence day celebration in the school ground .The school stage was decorated with colourful posters of the tricolor. The national flag was hoisted, followed by a cultural programme. The school choir rendered the patriotic song ‘ Bharat Bhagya Vidhata’. 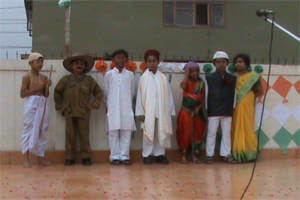 A dance was performed on the song ‘ Vande Mata ram’. 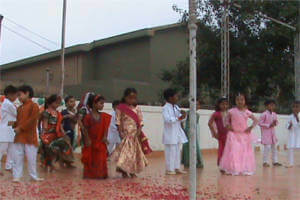 Tiny tots of the school also staged dance performances and sung patriotic songs.